Yep, Butterfly World also had birds. Here's a riddle for you: When is a vacation not a vacation? Answer: When you're a mom. Yes, we spent last week in Florida, which was warm, beautiful--and freaking exhausting. I truly need a vacation after my "vacation." Moms with kids will feel me. People without, let me explain: If vacations are supposed to be relaxing, going on vacation with kids is not a vacation. In fact, it will actually be less relaxing than your normal life. When you're a mom, you're likely spending the time away where nothing is child-proofed; your kids don't have their normal beds, plates, schedules, etc; and you've endured a hellish plane ride where your child was apparently trying to make everyone on the plane hate you (more on that in a separate post--I'm still too shell-shocked). And unless you're smarter/richer than me, you did not bring a babysitter with you. 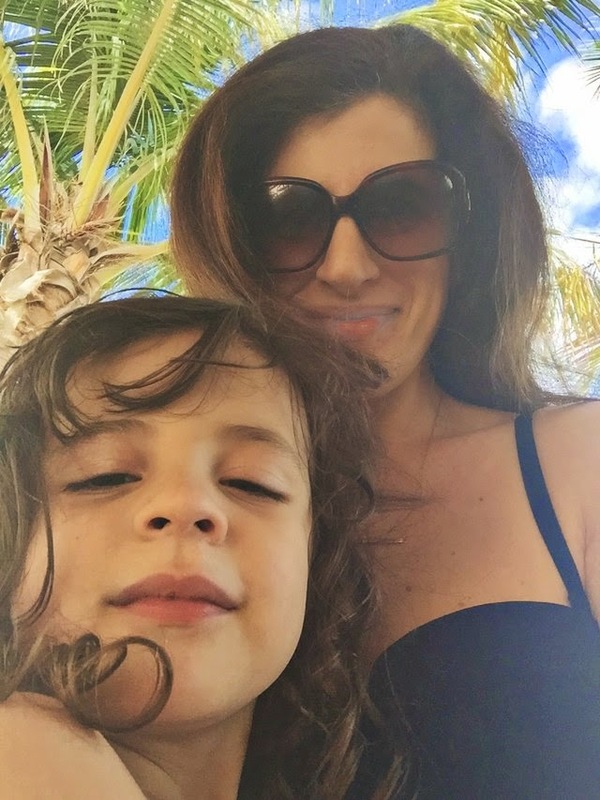 When you're a mom, vacations are an exercise in stress. It's no longer reading on the beach and soaking up the local culture. Vacations are now about spending six sunny days chasing your toddler around the perimeter of the pool or staying inside and watching him discover new and exotic electrical outlets. It's an endless parade of rubbing sunscreen on tiny, wiggling, uncooperative bodies. It is constant arguments over souvenirs. (Somehow kids learn that word early, huh?) It is trying to entertain children who brought one toy with them and have been bored of it ever since the flight. Because my husband's large family is now so spread out in different states, they've made it a tradition to meet after Christmas in a warm locale. Two years ago it was Sarasota (during a cold spell, which felt like a cruel joke at the time). This year was Marathon, Florida, which is in the Florida Keys. The weather was gorgeous (high 70s to low 80s and sunny every day--I cackled an evil laugh every time I checked the NYC weather), and we stayed in an amazing house right on the water. Problem was...it was kind of a deathtrap. There was a beautiful pool. But no fence around the pool. There was a long, meditative dock that led to a little hut out on the water. But it was surrounded by craggy rocks, fire coral, a huge colony of jellyfish--and no railings. Oh, and did I mention that my kids can't swim yet? So, it was a lot of worrying. A lot of running around. A lot of watching the sun rise because your kids woke up at 6 a.m. A lot of going to bed at 7:31pm as soon as your kids were down (for reals) because you were so exhausted. There were so many lovely moments, of course. And I feel lucky that we were fortunate enough to go on this trip (and that I have a husband who definitely did his share of chasing/corralling/entertaining). But at the same time...it was work, man. If you have kids, are your vacations similar? And if you don't have kids, tell me what a real vacation is like. I've forgotten. Ahhh yes. I FEEL you. Here's the deal. A vacation with kids is called a TRIP (or some would say hell on earth). A trip with adults is called a VACATION. There's a big difference. HUGE. I'm weirded out by the fact that you and your family were 3-5 miles away from me all week. Seems odd. Well I hope you enjoyed it here. As a child growing up vacations were something we didn't do that often. I had some great memories but this year I took an actual vacation and it was lovely. I will say this as your children get older it will get easier to go on vacation. I will be stressed out to without a gate around the pool. Hopefully your trip in the spring will be a tad bit more relaxing.